Are you the entrepreneurial type? Recent figures show that there are 359,050 small businesses operating in Scotland – and many are shunning conventional offices in favour of more cost-effective workplaces. Working from home remains a popular option for business-owners. However, it doesn’t take long to run out of space, especially if you’re selling bulky products. This is where self-storage units really come into their own. They offer flexibility, practicality, and they’re much more affordable than rented commercial premises. Here’s just a few great ideas for businesses you can set up from the comfort of your very own self-storage space. Self-storage units are ideal for seasonal businesses; thanks to the flexibility they offer. When it’s peak season, you can rent a larger space to accommodate your stock. When the business gets quiet, simply downsize to a smaller space and save money on your overheads. Companies selling Christmas-related items perform particularly well with this working arrangement. Stationery is always in demand across the UK – particularly with businesses. However, having diaries, A4 files and calendars over-flowing in your garage back home isn’t ideal. A storage unit means you can simply rent the level of space you require, and the non-existent overheads enable you to maximise your profit margins. If you’re the creative type, then putting your skills to good use to make money is a great idea. However, the products of your labour can soon overtake your home, especially if you make clothing, pottery or other bulky items. Store your artistic creations in a self-storage unit, and avoid paying business rates associated with getting commercial premises. If you live in or near a city, it’s likely that there’s a thriving market nearby. Selling on a market stall can generate excellent revenue – but knowing where to store your stock can prove problematic. A self-storage lock-up ensures all your goods remain safe while you’re not selling them. If you’ve got an eye for good quality antiques, why not turn your talent into a business? Start scouring the car-boot sales and online auction sites for great items to sell on for a profit – and store them all in your local self-storage unit. Best of all, self-storage spaces provide far more security, which means far less likelihood of your items being stolen. Vintage items, such as furniture and clothing, still continue to enjoy huge popularity online. If you’re good at spotting vintage products on market stalls or fairs, start selling them from the comfort of your own storage unit. You’ll avoid cluttering your home with bulky items, which your family will no doubt thank you for. If you’re looking for a business idea that’s cheap to get started – supplying party items is a great idea. People are constantly looking for balloons, party bags and bunting for their next big event, and if you’re a savvy entrepreneur, you could cash in on a huge captive audience. Avoid taking over your shed or garage with party-related goods, and rent storage space instead. Are you ready to start up your own business? 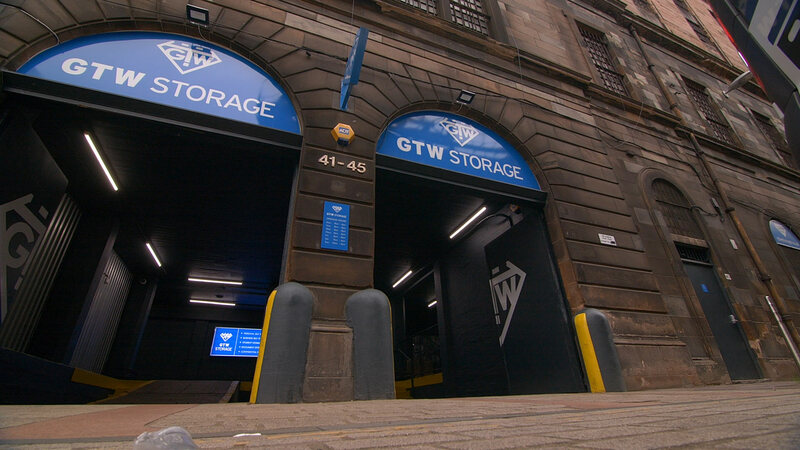 If you’re looking for somewhere to store your stock, get in touch today to find out more about our range of self-storage solutions in Glasgow.